How does wire or filament deposit 3D printing work? The principle is simple: a filament is melted by the nozzle and deposited by the printer, layer by layer, to form a three-dimensional object. Extrusion is the act of making the filament come out of the printer through a nozzle of a smaller diameter. Need to create your 3D parts easily? To create functional prototypes quickly? 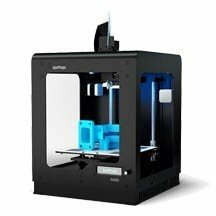 Filament-based printing is the solution to all your prototyping needs using 3D filament available in numerous materials in our online store.